The Maiberger Institute provides EMDR trainings workshops for psychotherapists, including the EMDR Training and Somatic EMDR Workshops. 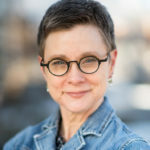 The Maiberger Institute was founded by Barb Maiberger, MA, LPC, the author of “EMDR Essentials: A Guide for Clients and Therapists” and the co-author of “EMDR Therapy and Somatic Psychology: Interventions to Enhance Embodiment in Trauma Treatment.” All of the trainings offered by the Maiberger Institute have been approved by the EMDR International Association (EMDRIA.org). Therapists who study through the Maiberger Institute will learn EMDR Therapy as a therapeutic modality and not just a tool in their toolbox. The mission of the Maiberger Institute is to provide therapists with the skills to successfully use and integrate EMDR Therapy into their practices. Many participants have expressed that they had reservations about learning EMDR Therapy, but after taking trainings through the Maiberger Institute they have come to appreciate and respect the healing power of EMDR Therapy. The size of each training is limited in order for participants get individual attention to enhance their learning process. Learning happens on many different levels: didactically, experientially, and through observation. 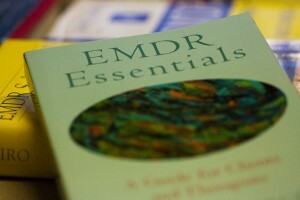 Detailed scripts are provided to help guide participants step-by-step on how to practice EMDR Therapy successfully. The trainers of the Maiberger Institute have years of experience in EMDR Therapy in helping participants integrate this psychotherapeutic modality into their practices. The trainers give individual attention to each participant so that the skills needed to successfully use EMDR Therapy can be integrated on an individual basis building on the strengths of each participant. This provides participants with a solid foundation of knowledge in which to grow their skills in EMDR Therapy. CE Program Administrator for the Maiberger Institute. Barb Maiberger, MA, LPC is the founder of the Maiberger Institute, and the author of “EMDR Essentials: A Guide for Clients and Therapists” and the co-author of “EMDR Therapy and Somatic Psychology: Interventions to Enhance Embodiment in Trauma Treatment.” Barb Maiberger is an EMDRIA Approved Consultant, and an EMDRIA Certified EMDR Therapist. Barb Maiberger is the CE Program Administrator for the Maiberger Institute. She is a Licensed Professional Counselor in the State of Colorado and has a Masters degree in Somatic Psychology. Barb’s knowledge, experience, keen sense of empathy, and a strong presence have motivated hundreds therapists to incorporate EMDR Therapy into their practices. 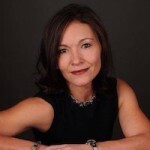 Olga M. Vera, PhD is a licensed Clinical Psychologist who has over 24 years of experience in the mental health field. She currently works with the Maiberger Institute as Directing Program Advisor and as a facilitator of EMDR Trainings. Dr. Vera is an EMDRIA certified EMDR therapist and EMDRIA Approved Consultant. Dr. Vera is the Director of the Employee Assistance Program for the University of Colorado at Boulder and President of the Colorado Psychological Association. Dr. Vera is an intensively trained DBT therapist and considered a trauma expert with extensive experience working with trauma related issues and collaborating with the police department. She specializes in working with children, adolescents, adults and also Cross Cultural issues, and draws from a variety of treatment modalities including Cognitive Behavioral Therapy, Dialectical Behavioral Therapy, Solution Focused Therapy, TF-CBT, Hakomi, PACT Couple Therapy and Systems Approach. Dr. Vera also serves the Spanish speaking community.